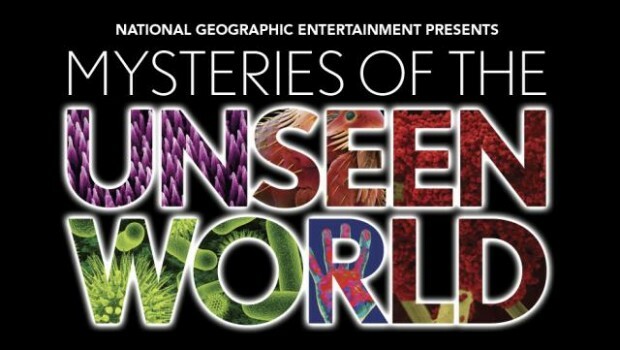 This film adventure takes audiences on an extraordinary journey into unseen worlds and hidden dimensions beyond our normal vision to uncover the mysteries of things too fast, too slow, too small or simply invisible. Begin to understand the enormity of the world you can’t see, a world that exists in the air we breathe, in our bodies, and in all of the events that occur around us minute-by-minute, and nanosecond-by-nanosecond. And with this understanding comes a new appreciation of the wonder and possibilities of science. To inspire a passion for science and nature. Open Tuesday - Saturday 10:00 a.m. - 5:00 p.m., Sunday 12:00 - 5:00 p.m.
Closed most Mondays. Open on all holiday and vacation-week Mondays.